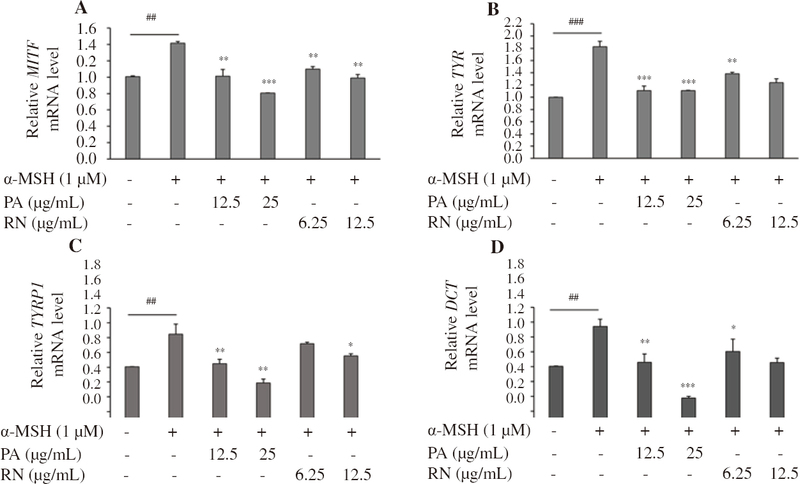 Figure 2: Effects of PA and RN extracts on mRNA levels of MITF, TYR, TYRP1 and DCT in NHEM. (A) MITF, (B) TYR, (C) TYRP1, and (D) DCT were examined by qPCR, using GAPDH as an internal control. ##P<0.01, ###P<0.001 compared with control cells. *P<0.05, **P<0.01, ***P<0.001 compared with α-MSH treated cells.